U.S. Navy officials are weighing options for boosting the size of their fleet, which appears increasingly inadequate to handle growing maritime threats from China, Iran and Russia. The Navy has 276 vessels, but while up to 100 are deployed globally, many are dry-docked for months — or even years —waiting for maintenance, upgrades or certifications. With China, Iran and Russia expanding their navies and taking more aggressive actions on the high seas, there is an urgent need for America’s currently idle ships and submarines to head out to the open sea. There are at least five possibilities of reversing America’s shrinking advantage: Recommission mothballed vessels; extend the service life of currently operating vessels; speed scheduled dock work; build new ones and operate the existing fleet more efficiently. The option of bringing back retired vessels has its critics. 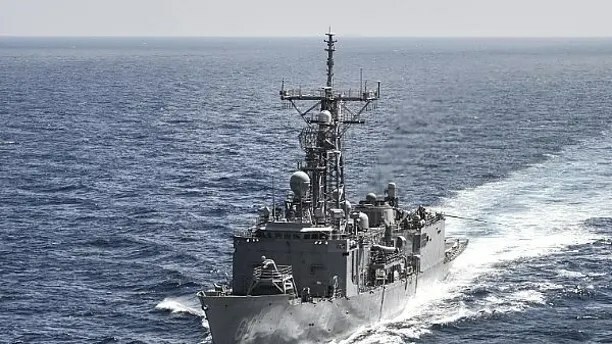 Lt. Kara Yingling, a Navy spokesperson, said the Navy is exploring every option to increase the capacity and capability of the battle force, including extending the expected service life of ships and reactivation. A more strategic plan, Callender said, is to speed up maintenance, repair and certification. Part of the problem is a severe worker shortage of about 2,000 people. The USS Albany, for example, spent over four years in the shipyard due to continued delays, so while the attack submarine is on the registry, it wasn’t being used. Our advantage is shrinking. We must reverse this trend. Richardson outlined a plan in May for more quickly designing, building and launching a larger and more powerful fleet that incorporates cutting-edge technologies and new operational concepts. The Navy is proposing a 355-ship fleet with 12 carriers, 104 large surface combatants, 52 small surface combatants, 38 amphibious ships and 66 submarines over the next 30 years. Yingling said that in fiscal year 2017, the Navy currently expects to deliver 13 ships and retire 6 ships, and by fiscal year 2022, is scheduled to raise the size of the battle force from the current 276 ships to 310 ships. Part of the Navy’s strategy will be to better coordinate its fleet, Richardson said.